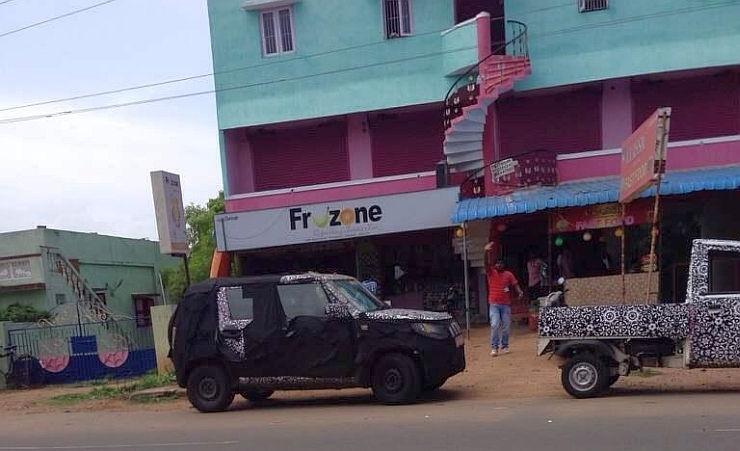 The 2015 Mahindra Bolero U301 compact MUV has been spotted testing on the outskirts of Chennai yet again. The spyshot deluge of the U301 Bolero arriving from Chennai has to do with Mahindra running its test facility at the Mahindra Research Valley, in the outskirts of the Southern Metro. The U301 is expected to be launched by the end of next year, as the current Bolero’s replacement and as an MUV to appeal to personal car buyers. The current Bolero has been around for for nearly a decade and a half considering the fact that the first example landed on Indian roads in 2001. The new, U301 Bolero will be built on a new platform that has a hydroformed chassis to cut down on the kerb weight. The MUV will be sold as a sub-4 meter offering with 7 seats. The shorter length will allow Mahindra to price the U301 Bolero competitively. The Quanto’s 1.5 liter twin turbo diesel engine is expected to power the sub-4 meter Bolero. While a rear wheel drive layout will be standard fare on the U301 Bolero, adding a 4X4 drive option would greatly enhance the MUV’s appeal among buyers interested in cross country touring. However, such an option hasn’t been confirmed by Mahindra yet. Mahindra will also see a longer version of the U301 Bolero aimed at taxi operators. The Bolero is Mahindra’s best selling product and the next-generation version is expected to see all-out efforts from the Indian automaker to ensure that the MUV retains its top-seller status. Expect features such as idle start system, and the automated manual gearbox – which will first make its debut on the Quanto – to be offered in the sub-04 meter version of the U301 Bolero. The other vehicle that was spotted on-test with the U301 Bolero is the P601 global, light pick up truck. The P601 will sit above the Maxximo in terms of price, positioning and payload capacity. The new pick up truck will be Mahindra’s answer to the likes of the Tata Super Ace and the Ashok Leyland-Nissan Dost pick up trucks. The P601 is expected to roll out from Mahindra’s new factory at Cheyyar, Tamil Nadu.